By far the absolute highlight of my trip to Barbados besides spending time with extended family was our snorkeling excursion. 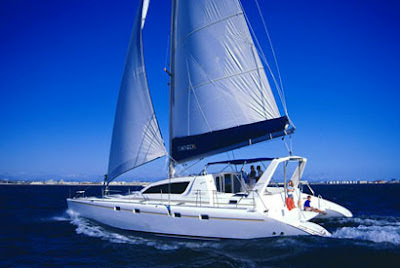 We took the most amazing sailing tour on a catamaran called Calabaza. This is how to experience the water! There were approximately 12 guests and the crew was attentive and entertaining. They serve lunch, almost hold your hand when you snorkel and for adults, there is an open bar with amazing rum punch. Plus, the vessel is to die for with net "hammocks" that stretch over the water! 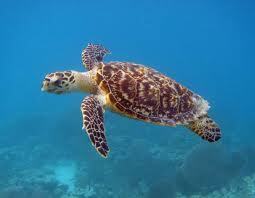 In our first snorkeling location, we swam with the hawksbill sea turtles! This is exactly what they look like in the water and I even petted a couple of them. At our second stop, we swam around an amazing reef near Payne's Bay and saw an amazing amount of wildlife including brain coral, eel and flounder. My only regret is that I didn't take more photos of the boat and the crew but I was so busy hanging in the underwater world, I couldn't be bothered. Snorkeling is my new favorite activity. Sail Calabaza's crew created a short video to show customers swimming with the turtles. This is exactly what we experienced.